May Mayhem! Skills, Thrills and Spills! 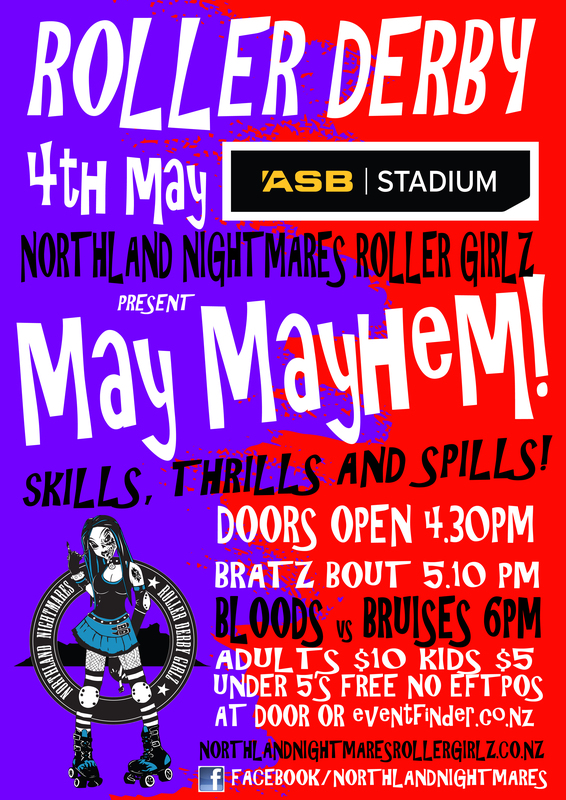 Northland Nightmares Roller Girlz present our first game of the season at ASB Stadium, Kensington! It’s an exhibition bout and it’s gonna be total May Mayhem with skills, thrills and spills all the way! Then at 6pm it’s the main event Bloods vs Bruises and our advanced players will show you *exactly* why roller derby is one of the fastest growing, most exciting sports in the WORLD! Tickets are $10 for adults,$5 for kids and Under 5’s are free. Door sales are cash only. This entry was posted on April 21, 2013 by nnderby. It was filed under EVENTS! .